In the late 1980s, the pirates won in Kenya. Faced with the collapse of the local music market due to excessive bootlegging, major multinational labels like EMI and Polygram pulled their artist development programs out of Nairobi. The departure created a hole in Kenya's music industry that would be felt for decades, and it was young, emerging musicians who would end up being hit the hardest. The system left behind had few resources and could only afford to support the safest and most widely appealing of artists. Gatekeepers had been a problem with the major labels. Now there wasn't even a visible gate. Thirty years later, a new documentary premiering today on The FADER suggests that Kenya's young artists might have learned to do without gates whatsoever. A rising tide of DJs, producers, rappers, and entrepreneurs in Nairobi's flourishing cultural scene are transforming this narrative of neglect, pooling their shared talents to build self-made performance series, production collectives, and develop entirely new sounds with few resources beyond than their passion. It’s inside this collision of self-made culture and thriving underground African music that A New Narrative, the latest episode in Boiler Room and Ballantine’s Scotch Whisky's True Music Africa documentary series, takes place. It’s a territory where the DIY mentality — which exists in other countries as more of a fashion statement or genre affiliation — has become the only way to flourish as an artist. “We don’t think of ourselves as entrepreneurs in the sense that you’re making money," says Nairobi DJ/producer/keyboardist Ukweli. "It’s just that you have to do it. No one else is going to do it for you. In other countries, there’s a bunch of booking promoters, there's agencies that can sign you, but here, not so much.” Each of the film's featured artists, from self-made dancefloor boss Muthoni Drummer Queen to the six-member strong EA Wave collective, are doing more than just creating the most forward-thinking sounds in their scene. They're pioneering an entirely new way for underground artists to thrive in Kenya. A New Narrative is the latest film to be released from Boiler Room and Ballantine’s True Music Africa collaboration, a four-city tour that pairs Boiler Room's first ever live shows in countries like Kenya with stories from the new wave of underground music scenes blooming across Africa. 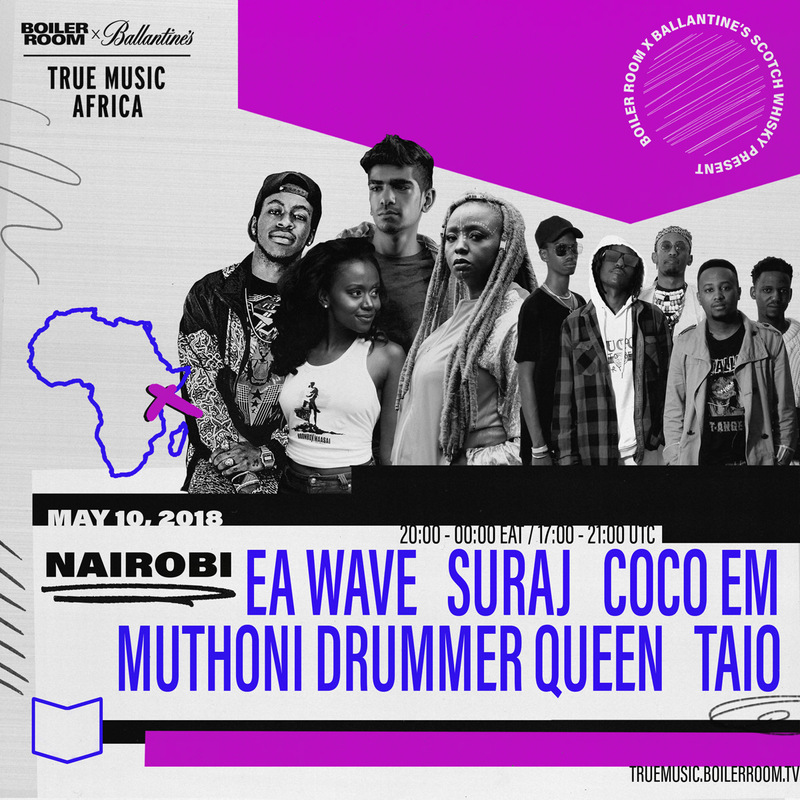 Upcoming shows include a set in Nairobi on 10th May featuring Muthoni Drummer Queen, EA Wave, SURAJ, Coco Em and Taio (Cosmic Homies), and a discussion forum in Johannesburg on 20th June, with a live show to follow the next day. Watch the full documentary above. Below - we spoke with each of the film's featured artists to go deeper into the self-made scenes they're creating in Nairobi. Sound: Fiercely percussive, joyous mixture of hip-hop swagger and diva vocals. DIY Creation: Blankets and Wine, which The Guardian called "East Africa’s premiere and most consistent performance series." Muthoni Drummer Queen carries many titles - rapper, drummer, and singer among them - but the most accurate might be “boss lady.” It’s a stripe she earned when, upon realizing that there was no existing platform in Kenya to display her music, she took it upon herself to build her own platform from scratch. It wasn't simply an issue of finding a venue willing to put her on the bill, she tells FADER. The problem was that there were simply no venues capable of hosting musicians like her at all. So she built her own. 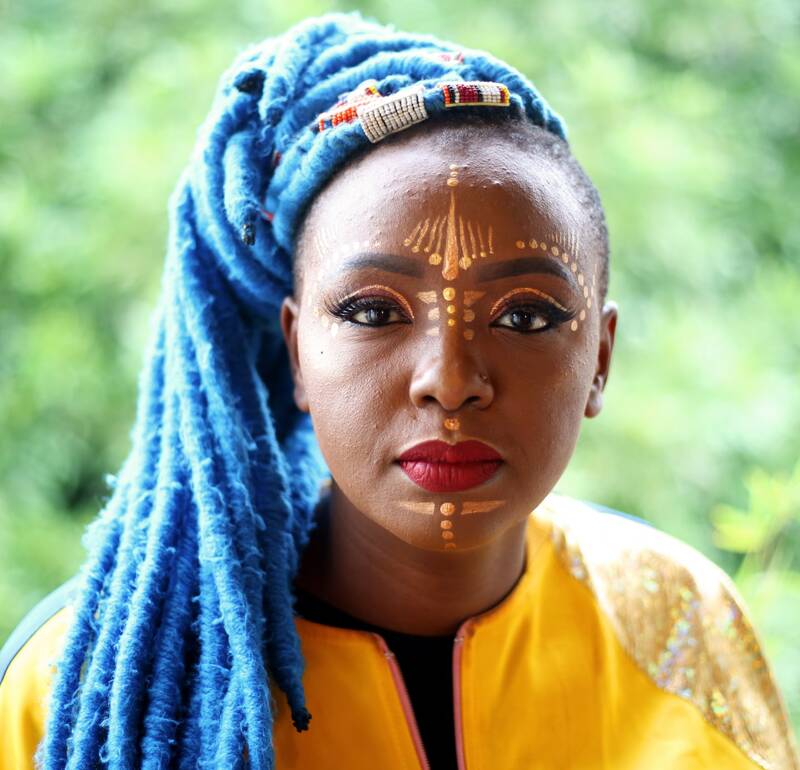 With no concert halls available, the drummer queen began hosting her own shows at a local bar, but when she realized how many of her fellow artists also needed a platform, she created Blankets and Wine, which grew to become not only one of East Africa's most beloved live bills, but also a crucial platform for local emerging and independent artists. It's a role that's seen Muthoni Drummer Queen spend nearly as much time as a boss and entrepreneur as she does performing, but she says its all a part of creating something bigger than herself. A single from She, Muthoni Drummer Queen's most recent album. And all that time in the boardroom hasn't dulled any of her daring behind the microphone. Her latest release, the concept album She, explores the question of what it means to be a modern woman in Kenya, and includes an anthem devoted to the love of a proud transgender woman. That would be a crucial move in any country, but it feels especially daring in the traditionally conservative Kenya. She says the reception to the record in Nairobi has been great, and despite the challenges she faced, she credits her city's hustle-blooded culture as driving her success. "The fact that there really is no template means that hard work, smart thinking, audacious ambition (and divine timing!) could really favor any driven creative in this place." Sound: Wholly original, distinctly Kenyan blend of traditional Afrobeat vibes and modern house music. DIY Creation: Midi Minds Kenya, a production and sound engineering company with a strong focus on mentorships and progressing local music culture. When Suraj was growing up in Kenya, primary school music classes were the only formal support system in place for young people interested in music. Then the government cut those from the curriculum. It was a lesson in self-sufficiency that would stick with the young DJ and producer. "Our scene thrives because we create our own sustainable paths," he says today. For Suraj, that path led to his own unique take on electronic music, blending Kenya's traditional instrumentation with the kind of ultra-contemporary, forward-thinking club music heard on dancefloors from NYC to Berlin. 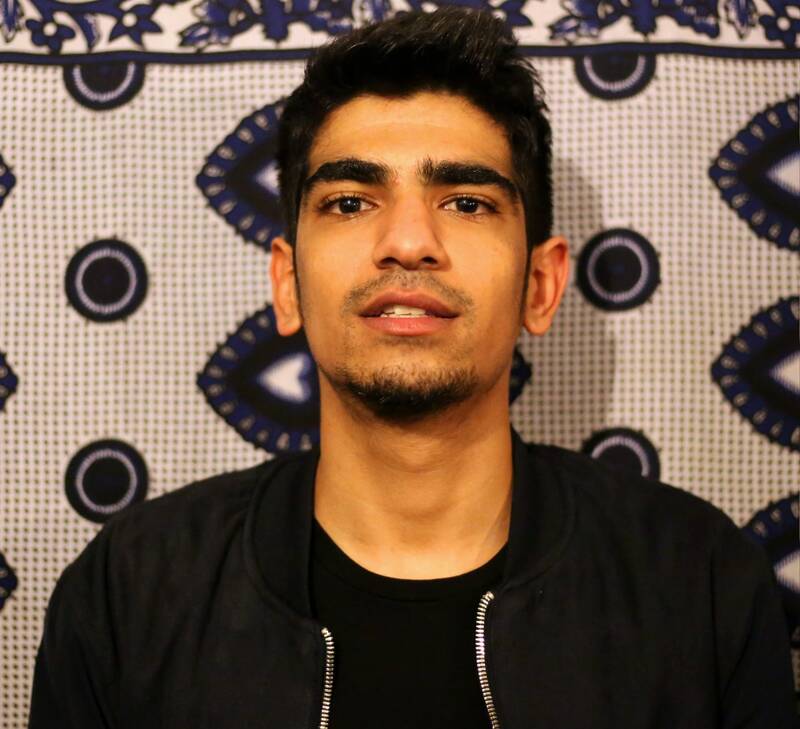 Suraj's goals for Kenyan electronic music however, went way beyond just playing great parties. Along with three friends, he co-founded Midi Minds Kenya, a self-made production company that seeks to not only fill the gaps left by Kenya's lack of formal support for musicians, but also to build an electronic music culture from the ground up. Along with their production projects, the collective now hosts music workshops in Nairobi with partners like Femme Electronic and introduces Kenyans to the world of DIY audio production. "We thought that was super important [for the community]", says Suraj. "To get your skill level high, so you're ready for the outside world." The vibe when Suraj is playing your party. Suraj says there were no paths laid out for him at all when he first began making electronic music, and he did a lot of "flying blind and rolling with the punches." With Midi Minds Kenya, he's found a way to make things a little better for the Kenyan artists following in his footsteps. There's a saying that sticks with him: "When you pass through a door, make sure you leave that door open for the next person. That's what I'm trying to do. To make sure that even if it's not my door, people still have a feeling of these doors being opened." Music: Live instrumentation meets a post-genre electronic fusion of everything from South African Kwaito to western trap. DIY Creation: The group itself, a self-made collective consisting of six of Kenya's most forward thinking DJs, producers, and musicians. Confession - EA Wave is not an artist. It's really six artists (Ukweli, Nu Fvnk, Hiribae, Mvroe, Jinku, and Sichangi), who individually contain enough talent to fill an entire feature by themselves. 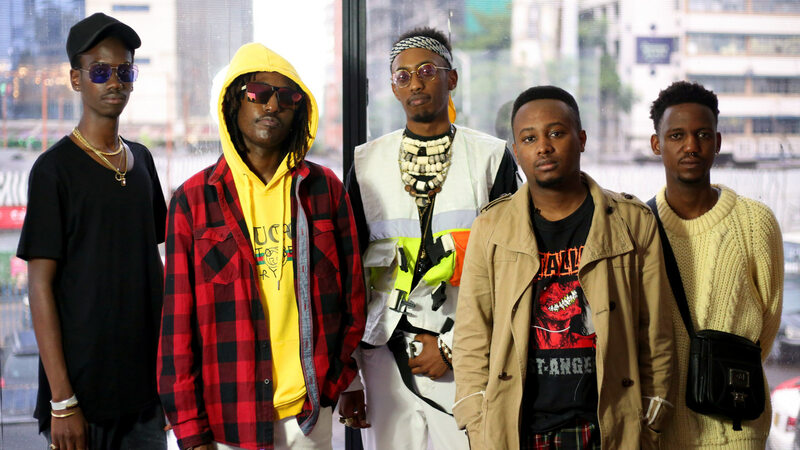 But it would be impossible to talk about Nairobi's electronic music scene without giving some shine to EA Wave as a group, who together are responsible for introducing some of the most interesting, forward-thinking sounds the city has yet seen. If you've hearing a bop at a party in Nairobi that doesn't sound quite like anything you've heard before in the city, chances are that a member of EA Wave is somewhere in the booth. 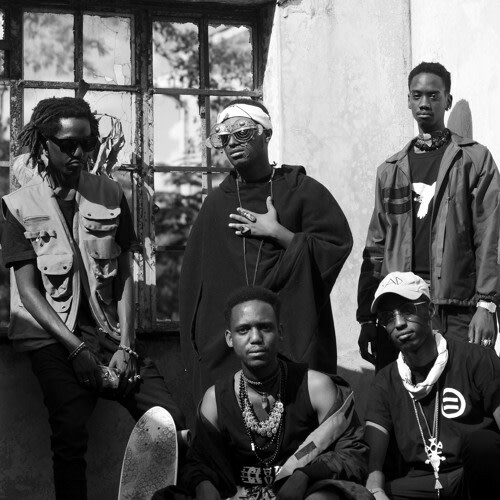 The group's members had each participated in Nairobi's electronic music culture as individuals (Hiribae remembers sneaking into 6am EDM parties while underage, while Jinku recalls being inspired by the eclectic multi-genre sets of local DJ Zelalem), but it was coming together as a collective that allowed them to truly put their mark on the city's vibe. Says DJ/producer/keyboardist Ukweli: "There was still this gap [in the city] between Hip Hop, RnB, and pop. There wasn’t anyone who bridged this gap, which is why we as EA WAVE began throwing parties at [crucial underground venue] The Alchemist to represent this eclectic taste in music that we all shared. There were not many people making ‘alternative’ music by Kenyan standards. So each of us stuck out." A typical EA WAVE function. Having come of age in Kenya's anarchic music industry, the members of EA Wave aren't intimidated by the lack of formal structure or resources. Instead, they see the situation as a creative opportunity. "Right now, it's the Wild West." says Jinku. He quotes a saying from a favorite Nairobi DJ, Brian Chuckie: "If you are as good as you say you are, then show us, and we will tell you if you are who you say you are." It's a challenge that pushes each member of the collective to work even harder. "That is essentially what Nairobi is now," says Ukweli. "It’s all about the cream of the crop standing out. I feel the responsibility of growth is in the hands of the artists themselves." Jinku concurs: "DIY is the way to go, No major labels here, No proper govt. policies, if nobody is helping us artists then we only have ourselves. I forsee the current players in the scene becoming cultural entrepreneurs, because we understand what it takes."